See who was selected to the squads for each class. Edina completed its quest for back-to-back state championships on Saturday with a 2-1 victory over Centennial. In the state tournament, the Hornets were led by a group that was balanced on both ends of the ice. Senior defender Brooke Tucker was held off the scoresheet against the Cougars, but she tallied four points in the first two rounds, including a goal in the Hornets' 4-2 win versus Eden Prairie in the semifinals on Friday. That performance helped Tucker land a spot on the all-tournament team, where she is joined by three teammates. Junior forward CC Bowlby and senior forward Emily Oden also helped pick up slack on the offensive end, as each finished with a team-high two goals for the tournament and were named to the team. Edina's fourth representative is sophomore defender Sophia Doll. She helped the Hornets allow just three goals in the state tournament. 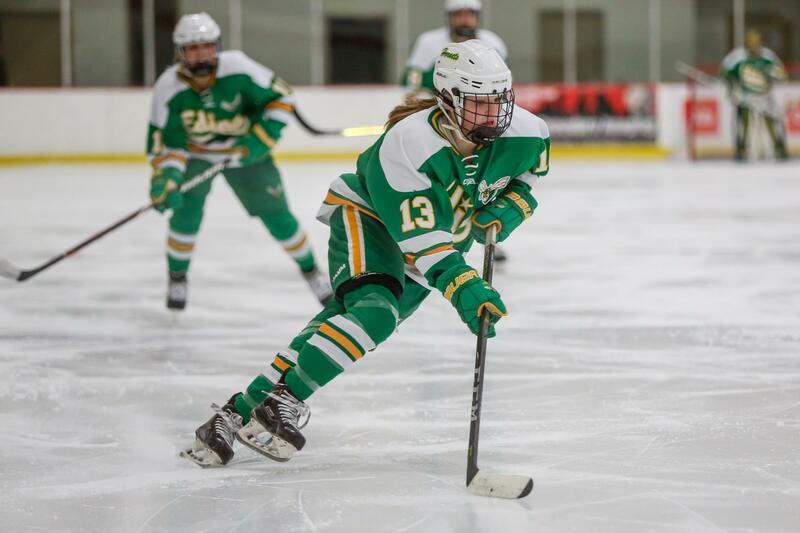 On the offensive end, she tallied an assist in each of Edina's first two tournament games. The complete team is listed below. Breck capped off its season in dramatic fashion by scoring eight seconds into overtime and knocking off top-seeded Warroad 3-2 to win the Class 1A championship. The Mustangs' run to the title resulted in five players making the all-tournament team. Of Breck's 18 goals in the tournament, five came from sophomore forward Olivia Mobley -- including both of the Mustangs' first two goals scored against the Warriors on Saturday. Freshman defender Emily Zumwinkle finished with Breck's second-best offensive performance for the tournament, posting three goals. Her two-goal outburst helped the Mustangs defeat Proctor/Hermantown 6-0 in the semifinals. Senior Gabby Billing was the only other Breck player on the all-tourney team to score a goal in the tournament. Her lone goal came against Marshall in the Mustangs' 9-1 win in the quarterfinals. She tallied seven assists in the three tournament games, including two in the championship. Junior defender Ella Brophy and Katherine Solohub helped the Mustangs allow four goals in the tournament and shut out Proctor/Hermantown in the semifinals. The teams were selected by coaches attending the state tournament.